We hear the term ‘community’ used widely in a variety of contexts. We talk about communities being defined geographically (a town as a ‘local community’, for example), we talk about communities being defined by shared interests (an online gaming community or a sports community, for instance), and we talk about communities as groups that share some characteristic somewhat outside of chosen interests, such as a group impacted by a natural disaster, perhaps. We talk about the ‘sense of community’ that particular places or groups, such as organised religion, may provide. We even talk about community as something we can build. Sometimes we choose to be part of these communities and sometimes they are chosen for us, either by others in that particular community or society in general. Here I’m thinking about things like homosexual individuals being considered by others around them as part of a ‘gay community’ whose interests and values they may in fact identify very minimally with. Thus it may be the case that we see individuals as part of a particular community, but if asked, they may not see themselves that way. So I question, how can one term adequately cover all these vastly different circumstances? I find the term ‘community’ somewhat puzzling and I feel I’m not the only one. Yet, the term is employed practically and ubiquitously without much question (including by me in my own research). What does the term ‘community’ actually mean? 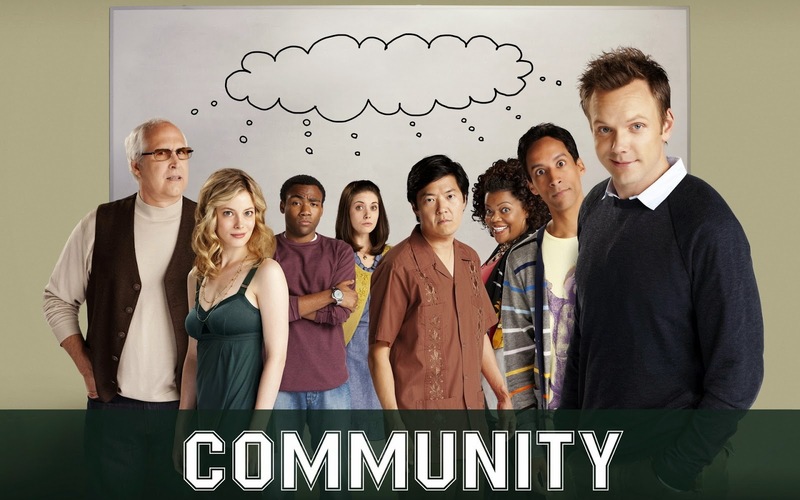 Is ‘community’ measurable? Where does the term have value and where is it problematic? And in the cases that it is problematic, is there an alternative way of thinking we should adopt? There are many issues to explore here, so I am going to focus on community in the context of emergency management, partly for a framing of my thoughts, and partly because having ties to this industry through my research has highlighted to me some of the ways I think the term is useful and some of the ways I think it is problematic in this context. Emergency management in policy and practice utilises a range of key concepts that are in part defined by the term ‘community’. The ‘community safety approach’ involves empowering communities to share responsibility for risk management, focusing on preparation and planning and developing partnerships between communities and risk management agencies (McLennan & Handmer 2012). ‘Community resilience’ is a set of characteristics describing how a social system responds and manages disruption (Foster & Hoy 2012). ‘Community engagement’ is an organised process of working with specific groups of people connected by a geographic location, special interest, affiliation or identity to address issues affecting their well-being (Department of Sustainability and Environment 2012). Even considering just these three examples gives me a slightly blurry impression of what community means in an emergency management context. Is it about partnerships or responsibility of risk? Is it a social system? Is it a group connected by location or interests? Is it all these things at once or does its meaning change? If we are to base emergency management on the community, and if we are to engage the community in planning and self-protection, we require a clear and accurate sense of what is meant by community (Buckle 1999). The meaning of ‘community’ may have different meanings for different people. The Oxford dictionaries (2014) define community as a group of people living in the same place or having a particular characteristic in common. For emergency management a common characteristic may be something as broad as being at risk to a common hazard, such as bushfire. Buckle (1999) describes community as any grouping of people that have something in common or something shared (and believing that they have something in common and having only that as a communal attribute may be sufficient to define a community). Frandsen (2012) emphasises that communities are unbounded by physical locale. In emergency management practice, however, community is often taken as synonymous with the people living within a defined administrative, cultural, or populated spatial unit, for example a local government area, town or locality (Buckle 1999). Community, it seems to me, particularly refers to members of the general public; rarely have I seen those working in the emergency management industry refer to themselves in official dialogue as part of the communities they are working to keep safe (but perhaps this is just semantic). What is meant by ‘community’ and whether or not it is an understood concept (in theory and in practice) may have important implications for the success and value of emergency management approaches centered upon it. There are benefits in emergency management to considering the community as the simple delineation of groups of people based on geographic or administrative boundaries. This approach is logistically useful in terms of provision of services and dispatch of emergency vehicles, personnel and resources for disaster response. For preparation, this approach is useful as those in the same geographic area will likely experience similar risk. Thus, communication is often directed at localities (Frandsen 2012). Communicating to groups that they are a ‘community’ at risk further promotes the notion of this kind of community and reinforces the usefulness of considering community in this way for emergency management. If there are observable benefits, there are also important limitations to considering communities as geographical or administrative areas. Significantly, it encourages overlooking the complexity of groups (Buckle 1999). Communities as locations is useful for defining physical areas exposed to risk, but it is insufficient for capturing social and psychological diversity inherent within these areas and which influence patterns of associations between those residing within a location (Frandsen 2012). Further, an individual may belong to a number of different communities that will overlap but are not necessarily coterminous. Other types of communities may be completely removed from an individual’s physical geographic location but still highly important for emergency management, such as online communities. I posit that a disconnect exists between the emergency management industry and the general public, or the ‘community’. Observed in my experiences at least, the community is often referred to as an external entity to which emergency management is working to and not with. Community members are external to discussions and strategies that are supposedly aimed at supporting, protecting and engaging them. I note this disconnect as problematic for the concept of ‘community’ as an emergency management construct as I feel for community-oriented strategies to be effective, those in emergency management need to consider themselves as part of the community, both to understand relevant local issues and to relate and engage more effectively with others in the community. Even if we use the flawed notion of community defined by location, it is plausible many of those in emergency management do physically reside in the communities they are referring to and are thus exposed to the same risks. Yet, often emergency management dialogue overlooks this. The idea that emergency management should be considered part of the community and vice versa prompts me to think of two scholarly works: 1) Blythe McLennan‘s work on shared responsibility, and; 2) Muki Haklay‘s on the levels of participation and engagement in Citizen Science projects. On the first point, shared responsibility implies not necessarily equal responsibility, but that individuals, households, communities, state, municipal, and national agencies must all take some responsibility for managing disaster risk. However, if communities are not involved in processes of decision-making and therefore have no responsibility for determining what is important and why, how should they be expected to take responsibility for the related actions? The responsibility is ‘shared’ in theory, yet, in practice citizens don’t have the same kind of responsibility and are supposed to do only what authoritative emergency management informs they should do. On the second point, the ladder of participation informs as citizens increase their level of involvement in projects, the benefits they receive increase simultaneously. The benefits to citizens of high-level involvement, such as problem definition and analysis of results, are greater than low-level involvement, which may involve a citizen simply volunteering their computing capacity or using their smartphone as a passive sensor. For emergency management, if community members are more greatly involved in emergency management decision making processes, they may similarly receive greater benefits and ultimately be better-placed to manage risk, prepare, respond and recover more effectively to disaster events. I guess what I’m thinking about in arguing for increased involvement of citizens in emergency management decision making with these two works is a model of inclusive governance. But even if I’m right in suggesting inclusive governance is needed to modify the ‘us and them’ dialogue of emergency management and communities, and that increasing community involvement will reduce some of the ways in which the notion of ‘community’ is problematic, how could this be achieved in practice? Should community members be invited to participate in conference events and agency meetings? If so, who? Which people and which groups? How would that be determined and who might still be excluded? Should it be the other way around? Rather than increasing community involvement in official systems, perhaps the official systems should adapt to the community. Are these things at all measurable? Perhaps the term ‘community’ should be dumped altogether, if it is indeed problematic to refer to individuals that differ so much as a single, somewhat arbitrary entity. I don’t have answers to these questions, and I feel this is a topic that may be obvious in theory but quite messy in practice. But it seems to me implausible to assign single common ‘community’ goals for varied uncommon networks of people. The way the term ‘community’ is used may need rethinking, particular in emergency management, or at least how emergency management works with ‘communities’.